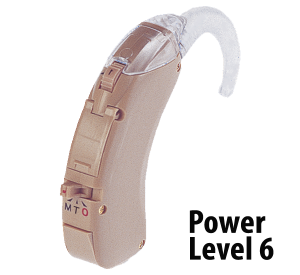 HB37S more power, noise suppression hearing • Luxis International, Inc. The HB37S is perfect for you if you want something with More Power plus Noise Suppression Setting! You’re really going to like the Happily-Hearing Everything Model HB37S if you’ve tried just about everything and been disappointed. 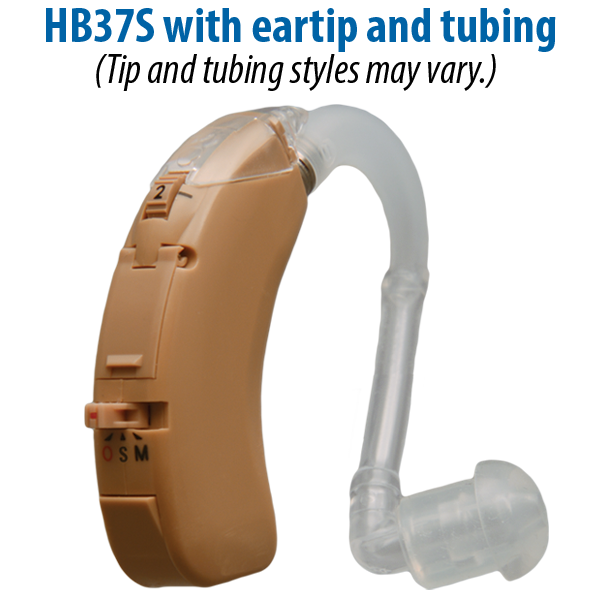 The HB37S has more power than most hearing devices, it’s easier to handle, and the batteries last longer than you’ll get from just about any other product plus it includes a Noise Suppression switch. The Happily-Hearing-Everything Model 37S has the features you want at a price you can afford. A favorite feature is the Noise Suppression Switch. 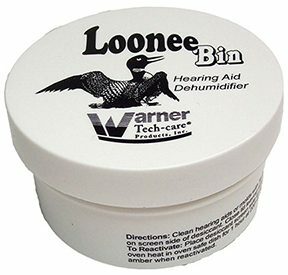 This is simply a setting that amplifies low frequency sounds less than high frequency sounds. Why is that helpful? The sounds we usually want to hear most (like speech sounds) are in the high frequencies. So we want to amplify (make louder) the high frequency sounds. The low frequency sounds are often sounds that we prefer not to hear as much. Low frequency sounds are often described as background noise. So if it seems noisy around you then you can reduce the noise by selecting the Noise Suppression setting. Another favorite feature is the slightly larger size of the HB37S. But when I say “slightly larger” I don’t mean mammoth … Really, this is not the hearing device you remember your grandparents having! 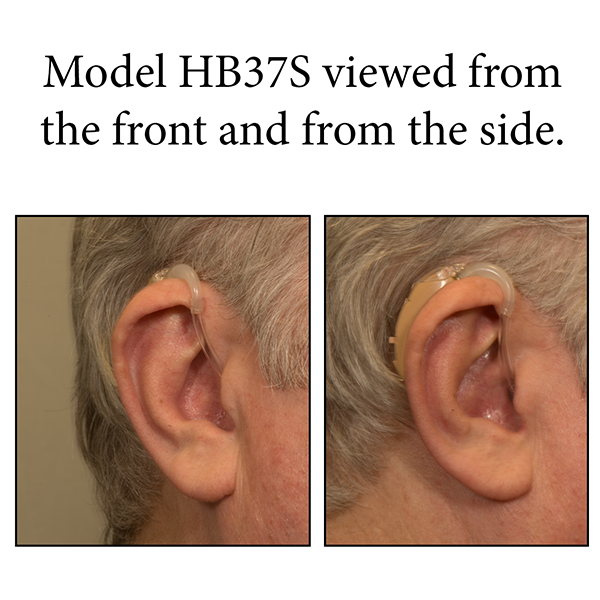 The HB37S is still small enough to tuck comfortably behind the ear. Plus, the slightly larger size makes the HB37S much easier to hold and to change batteries. 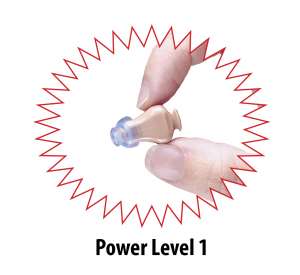 The slightly larger size of the Happily-Hearing-Everything Model HB37S also means that it can hold the largest hearing aid battery that is made. The battery is size 675 and the HB37S gives you a whopping 420 hours of battery life. Betcha can’t find something with longer battery life! Super long battery life means changing the batteries less often and the size 675 battery means it’ll be even easier when you do change the batteries. As if the Noise Suppression Switch and the Super Long Battery Life wasn’t enough, you also get (at NO EXTRA CHARGE) a Maximum Output screw control. This is important if you’re sensitive to loud sounds. The MOP (Maximum Output control) can be adjusted so that the HB37S never amplifies sounds above a certain setting no matter how loud the sound was when it started. 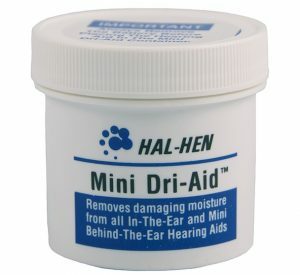 No need to worry about sounds being too loud. Just how powerful is the Model 37S? The Happily-Hearing-Everything Model 37S has a Power Level of 6. We rank hearing products on a scale of 1-9. Most people will benefit from something in the range of 1-6. 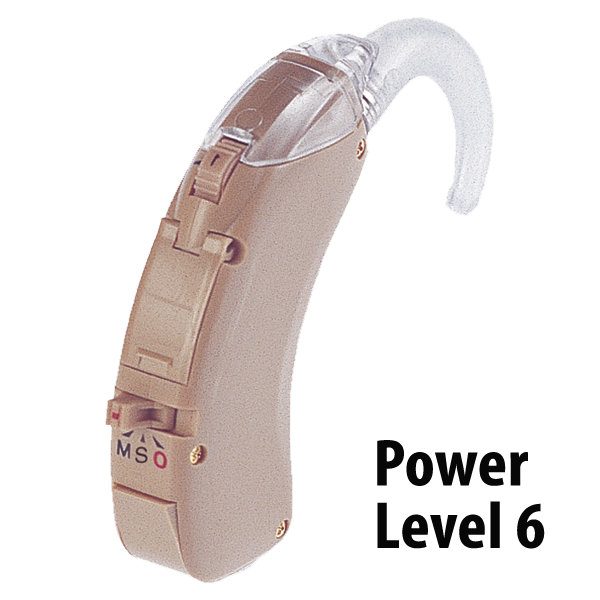 The Model 37S tops out our middle range of hearing products making it a popular choice for people who want more power. Still not sure the HB37S is right for you? That’s okay. You’ll be happy to know that you order Risk-Free with a 45-day home trial so you can try it at home and on the go. Your Happily-Hearing-Everything Model 37S arrives ready to use. Try it yourself and discover the joy of Happily Hearing Everything! Battery life: approx. 420 hours!